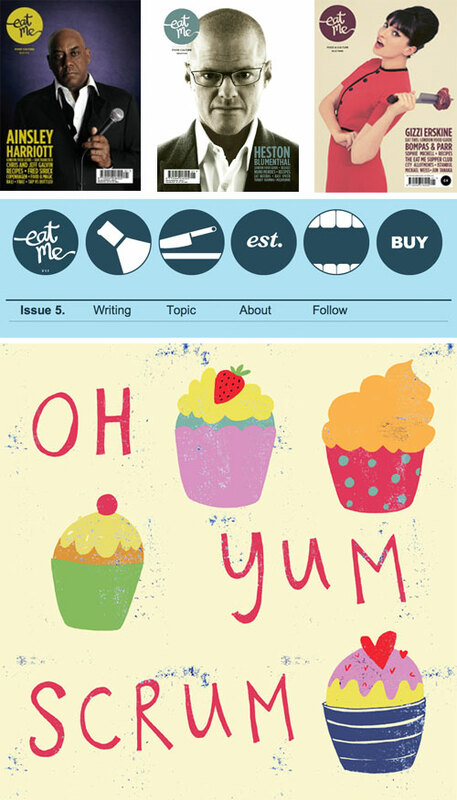 A while ago I came across Eat Me magazine in WH Smith. It's a beautifully printed quarterly food magazine with lots of great articles, recipes and restaurant reviews. I went to meet them the other week, and now one of my illustrations is being used on their website alongside a birthday cake memoir!